Calendar: «Day of the Seafarer». «Until you have the courage» illustrated quotation. Seafarer, free quote pictures for Facebook, Twitter, LinkedIn, Reddit, Pinterest and other social networks. 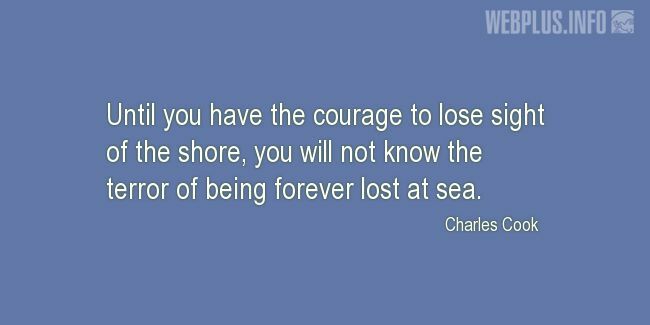 Until you have the courage to lose sight of the shore, you will not know the terror of being forever lost at sea.